Lucas Schott won Moock Trucking Qualifier #1 on Friday, July 20, at the I-80 Speedway in Greenwood, Neb. Lucas Schott delivered a flawless performance Friday night at the I-80 Speedway, winning both of his United States Modified Touring Series heat races and his qualifying feature to lead all drivers on opening night of the 8th Annual Imperial Tile Silver Dollar Nationals. The 21-year-old from Chatfield, Minn., won his first heat from the pole and then rolled from the ninth and final starting spot in his second heat race to lead all competitors in passing points. That put him on the pole for Moock Trucking Qualifier #1—the first of two 16-lap qualifying features—and he led every lap en route to a $1,000 payday to go along with the $400 he collected for his two heat race wins. Rodney Sanders, Jason Hughes, Dustin Sorensen, Tyler Wolff, Darron Fuqua, Lance Town and Marc Hurd rounded out the top 8 to lock themselves into the first eight spots on the inside row of Saturday’s 40-lap, $8,000-to-win USMTS main event. Dereck Ramirez, on the other hand, finished second in both of his heat races after starting fourth and sixth, respectively in those. From the third starting spot, the Woodward, Okla., racer was also a recipient of $1,000 after winning Wojo Painting Qualifier #2. Dereck Ramirez won Wojo Painting Qualifier #2 on Friday, July 20, at the I-80 Speedway in Greenwood, Neb. Jake O'Neil, Jake Timm, Zack VanderBeek, Jesse Sobbing, Trevor Latham, Lance Mari and Stormy Scott finished second through eighth, respectively, and will fill the first eight positions of the outside row in Saturday’s finale. Following the qualifying features, pills were drawn to invert the top four in each with a 2 selected for the first qualifier and 4 for the second. That puts Sanders on the pole with VanderBeek to his outside for the start of Saturday’s championship race. Schott will start third and Ramirez eighth. The series joins the Lucas Oil Late Model Dirt Series again on Saturday with a last-chance race and championship feature on tap for the USMTS Modifieds plus last-chance races and the $53,000-to-win Late Model main event. Tickets and times: Adult general admission tickets are $40, youth ages 6-12 are $12 and kids ages 5 and under get in for free.. Pit passes are $45 on Saturday. Will call opens at 3 p.m. Grandstands and pit gates open at 4. The drivers meeting convenes at 6:30, hot laps begin at 7, the national anthem and invocation are at 7:25 and racing gets underway at 7:30. There be a live band on the concourse from 4 to 7 p.m.
For those unable to be there in person, every lap of every race will be carried live at www.dirtondirt.com. Showing finishing position, starting position in parentheses, car number, driver, hometown and money won. Heat race passing points set the lineups for the two Qualifiers with the odd-numbered drivers in Qualifier #1 and even-numbered drivers in Qualifier #2. The top 8 finishers in each Qualifier are locked into the first 8 rows of Saturday’s main event. 1. (2) 4w Tyler Wolff, Fayetteville, Ark., $200. 2. (1) 20 Rodney Sanders, Happy, Texas, $125. 3. (5) 2s Stormy Scott, Las Cruces, N.M., $75. 4. (4) 10 Casey Arneson, Fargo, N.D.
6. (9) 71 R.C. Whitwell, Tucson, Ariz.
7. (6) 15 Andy Wilkinson, York, Neb. 8. (3) 9 Kevin Rutherford, Flower Mound, Texas. 9. (8) 7 Justin Gregg, Hastings, Neb. 1. (2) 49jr Jake Timm, Minnesota City, Minn., $200. 2. (6) 4r Dereck Ramirez, Woodward, Okla., $125. 3. (4) 91 Jesse Sobbing, Malvern, Iowa, $75. 4. (1) 16 Austin Siebert, Grandview, Mo. 5. (7) 2j Johnny Scott, Las Cruces, N.M.
6. (5) 21t Lance Town, Wellsville, Kan.
7. (8) 5k Kyle Prauner, Norfolk, Neb. 8. (9) 8c Chris Clark, Jackson, Wyo. 9. (3) 21x Travis Saurer, Elizabeth, Minn.
1. (1) 87 Darron Fuqua, Mayetta, Kan., $200. 2. (4) 12 Jason Hughes, Watts, Okla., $125. 3. (3) 27L Trevor Latham, Rogers, Ark., $75. 5. (5) 50c Colton Osborn, Cozad, Neb. 6. (8) 7 Sean Gaddis, Diana, Texas. 7. (9) 70 Jesse Dennis, Prescott, Iowa. 8. (6) 64 Nick Hermsen, Omaha, Neb. 9. (2) 07 Cory Crapser, Chippewa Falls, Wis.
1. (1) 69 Lucas Schott, Chatfield, Minn., $200. 2. (9) 0 Jake O'Neil, Tucson, Ariz., $125. 3. (6) 19 Dustin Sorensen, Rochester, Minn., $75. 4. (5) 88 Chad Wheeler, Muskogee, Okla.
5. (3) 10 Marc Hurd, Wichita, Kan.
6. (7) 7k Jason Krohn, Slayton, Minn.
7. (4) 2g Kenny Gaddis, Diana, Texas. 9. (8) 75 Terry Phillips, Springfield, Mo. 1. (6) 12 Jason Hughes, Watts, Okla., $200. 2. (9) 20 Rodney Sanders, Happy, Texas, $125. 3. (2) 7 Sean Gaddis, Diana, Texas, $75. 4. (3) 5k Kyle Prauner, Norfolk, Neb. 5. (7) 21x Travis Saurer, Elizabeth, Minn.
6. (5) 15 Andy Wilkinson, York, Neb. 7. (8) 4w Tyler Wolff, Fayetteville, Ark. 9. (4) 33z Zack VanderBeek, New Sharon, Iowa. 1. (4) 19 Dustin Sorensen, Rochester, Minn., $200. 2. (8) 49jr Jake Timm, Minnesota City, Minn., $125. 3. (6) 91 Jesse Sobbing, Malvern, Iowa, $75. 4. (9) 16 Austin Siebert, Grandview, Mo. 7. (1) 71 R.C. Whitwell, Tucson, Ariz.
8. (3) 2j Johnny Scott, Las Cruces, N.M.
9. (2) 75 Terry Phillips, Springfield, Mo. 1. (1) 0 Jake O'Neil, Tucson, Ariz., $200. 2. (5) 2s Stormy Scott, Las Cruces, N.M., $125. 3. (6) 10 Casey Arneson, Fargo, N.D., $75. 4. (3) 7k Jason Krohn, Slayton, Minn.
5. (9) 87 Darron Fuqua, Mayetta, Kan.
6. (7) 10 Marc Hurd, Wichita, Kan.
7. (2) 50c Colton Osborn, Cozad, Neb. 8. (8) 19sb Lance Mari, Imperial, Calif.
9. (4) 64 Nick Hermsen, Omaha, Neb. 1. (9) 69 Lucas Schott, Chatfield, Minn., $200. 2. (4) 4r Dereck Ramirez, Woodward, Okla., $125. 3. (3) 23 Adam Kates, Tonganoxie, Kan., $75. 4. (6) 2g Kenny Gaddis, Diana, Texas. 6. (2) 7 Justin Gregg, Hastings, Neb. 8. (5) 88 Chad Wheeler, Muskogee, Okla.
9. (1) 70 Jesse Dennis, Prescott, Iowa. 1. (1) 69 Lucas Schott, Chatfield, Minn., $1000. 2. (3) 20 Rodney Sanders, Happy, Texas, $700. 3. (2) 12 Jason Hughes, Watts, Okla., $500. 4. (4) 19 Dustin Sorensen, Rochester, Minn., $300. 5. (7) 4w Tyler Wolff, Fayetteville, Ark., $250. 6. (5) 87 Darron Fuqua, Mayetta, Kan., $200. 7. (13) 21t Lance Town, Wellsville, Kan., $175. 8. (10) 10 Marc Hurd, Wichita, Kan., $150. 9. (6) 10 Casey Arneson, Fargo, N.D., $125. 10. (12) 71 R.C. Whitwell, Tucson, Ariz., $100. 11. (8) 23 Adam Kates, Tonganoxie, Kan., $100. 12. (14) 07 Cory Crapser, Chippewa Falls, Wis., $100. 13. (15) 21x Travis Saurer, Elizabeth, Minn., $100. 14. (16) 7 Justin Gregg, Hastings, Neb., $100. 15. (17) 8c Chris Clark, Jackson, Wyo., $100. 16. (18) 64 Nick Hermsen, Omaha, Neb., $100. 17. (11) 88 Chad Wheeler, Muskogee, Okla., $100. 18. (9) 7k Jason Krohn, Slayton, Minn., $100. 1. (3) 4r Dereck Ramirez, Woodward, Okla., $1000. 2. (1) 0 Jake O'Neil, Tucson, Ariz., $700. 3. (2) 49jr Jake Timm, Minnesota City, Minn., $500. 4. (11) 33z Zack VanderBeek, New Sharon, Iowa, $300. 5. (5) 91 Jesse Sobbing, Malvern, Iowa, $250. 6. (7) 27L Trevor Latham, Rogers, Ark., $200. 7. (17) 19sb Lance Mari, Imperial, Calif., $175. 8. (4) 2s Stormy Scott, Las Cruces, N.M., $150. 9. (15) 9 Kevin Rutherford, Flower Mound, Texas, $125. 10. (8) 7 Sean Gaddis, Diana, Texas, $100. 11. (16) 70 Jesse Dennis, Prescott, Iowa, $100. 12. (14) 15 Andy Wilkinson, York, Neb., $100. 13. (10) 5k Kyle Prauner, Norfolk, Neb., $100. 14. (13) 2j Johnny Scott, Las Cruces, N.M., $100. 15. (9) 2g Kenny Gaddis, Diana, Texas, $100. 16. (12) 50c Colton Osborn, Cozad, Neb., $100. 17. (6) 16 Austin Siebert, Grandview, Mo., $100. 18. (18) 75 Terry Phillips, Springfield, Mo., $100. 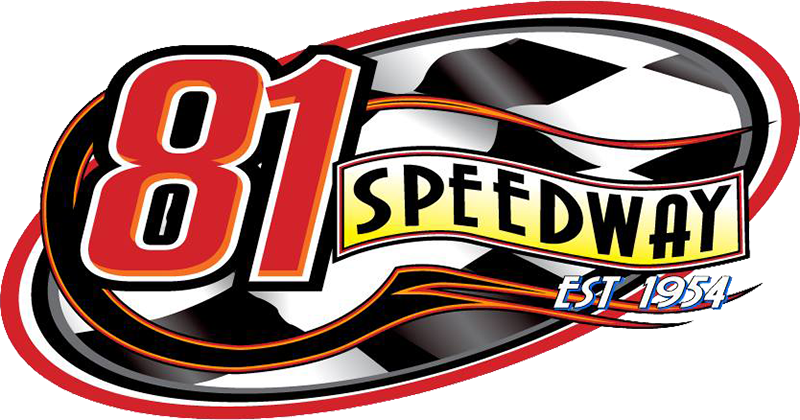 Next Race: Saturday, July 21, I-80 Speedway, Greenwood, Neb. American Racer – Phillips, Crapser. Casey’s General Stores – Mari. Fast Shafts – Timm, Sorensen. Simpson Performance Products – Wolff, Hughes.